It got low billing in Microsoft's monthly update blog, but for me this is the best change of the month! While formatting any visual, you can type in part of the name of the property that you want to change. 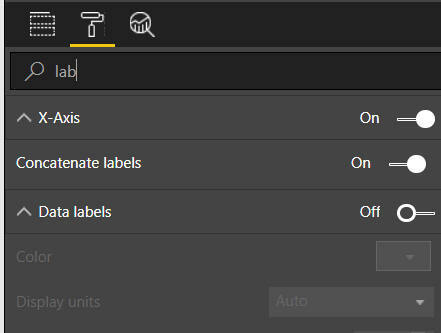 Want to know all the label properties? Type in lab (no need to press Enter) and this is what you'll see. The list of formatting properties has been getting long and unwieldy in recent months, and anything which makes it easier to find the one you're looking for has to be good news.